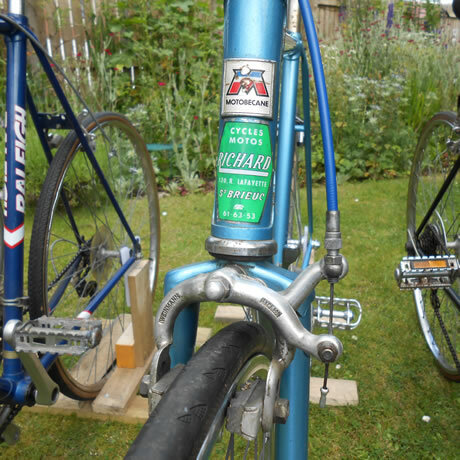 If you are looking for a nice, well-presented classic or vintage bike, looking to get your own bike restored or upgrading your old steel frame with modern running gear and components give Jim at BikeMechTech a call. He can help! 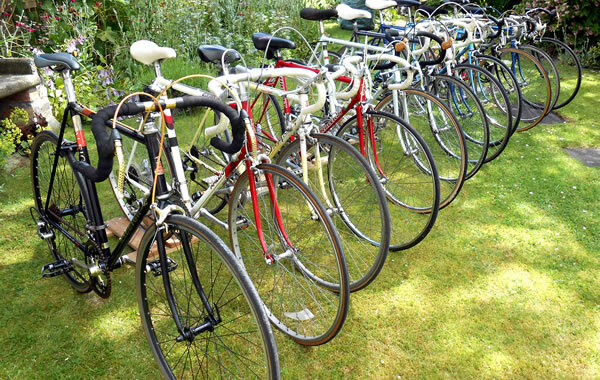 There is always a good stock of quality, handpicked 70’s and 80’s bikes restored or awaiting restoration. Stock can and does change on a regular basis. If I don’t have what you require I will endeavour to locate one for you. 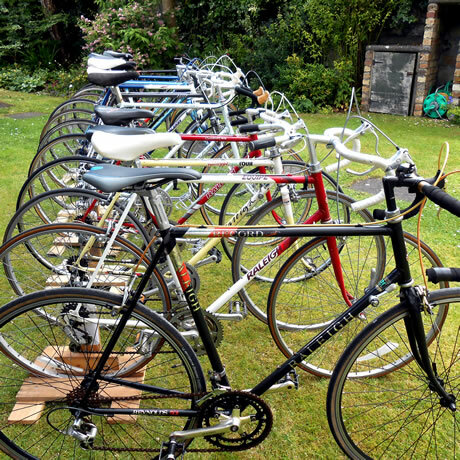 I loved the late 1970’s and 1980’s for cycling and bike choice. At last, everything was moving so fast. 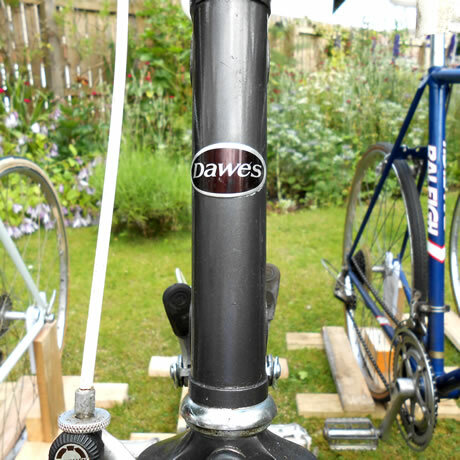 Cotterless cranks were becoming mainstream by the mid-1970’s. 700c rims were replacing 27-inch rims by the late 1970’s as the “die hard” British bike industry eventually accepted that metric was the way forward. All the bike manufacturers were offering their products with gorgeous fancy paint and stylish graphics. Out were the days of drab, plain looking bikes! I remember those days very well and restore bikes from this era. 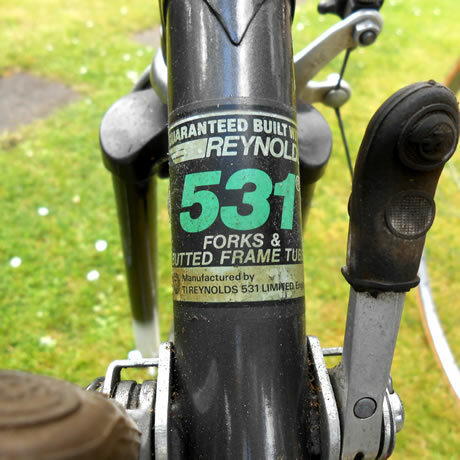 All of my pre-owned bikes have been through the workshop, stripped to the bare frame and given a B Service during re-build. Cable inner and outers are replaced. Tyres and tubes are replaced. Brake blocks are replaced. Any components that are missing or unsalvageable are replaced with “period” components. All original paint and decals are retained, where possible, to maintain originality and authenticity. Complete bikes and parts always wanted for restoration and renovation. 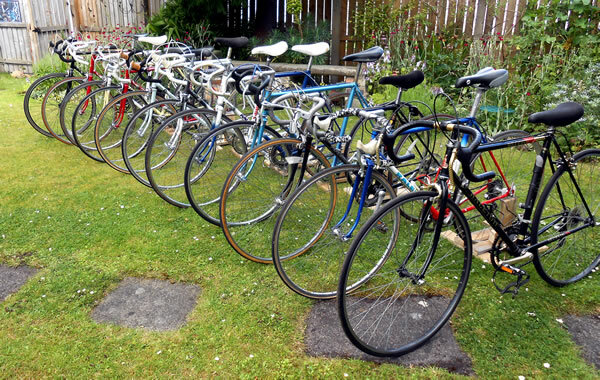 Why fling your old bike in a skip when it might be worth some money? Call Jim now and see what it could be worth! 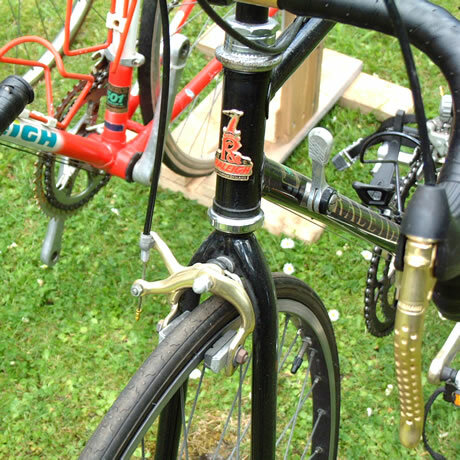 I have a very nice original 1985/86 Raleigh Record Sprint, which took quite a long time to source. 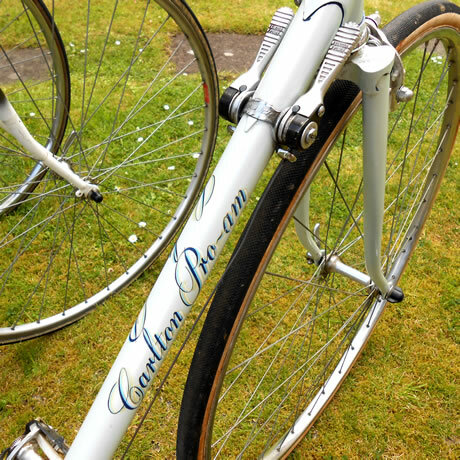 It was purchased due to its original condition and standard components. This will be used by myself on nice days and I intend to participate in 2017’s Eroica Brittania event with the Raleigh Record Sprint.